The Cinema Eye Honors, the New York City-based awards ceremony dedicated to the art and craft of nonfiction filmmaking, and Documentary Channel® (DOC), the USA’s first 24-hour television network exclusively devoted to documentary films and the independent filmmaker, today announced a new partnership that will bring the 4th Annual Cinema Eye event to DOC in late January 2011. In addition, Cinema Eye today announced that next year’s ceremony will be held on January 18, 2011 at New York City’s Museum of the Moving Image, America’s only museum dedicated to film, TV and digital media in all their forms. The Cinema Eye event will be part of the Museum’s Celebrating the Moving Image inaugural program and will take place during the opening week of the Museum’s grand re-opening following a $67 million building project. DOC is the official broadcast partner for Cinema Eye. 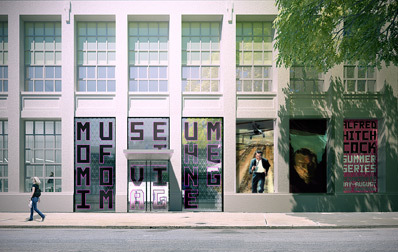 The Museum of the Moving Image has been named official host partner. Nominations for the 2011 Cinema Eye Honors will be announced on Thursday, November 4, 2010 at the Sheffield Doc/Fest in the United Kingdom.